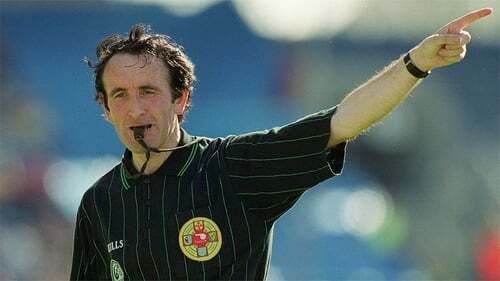 The recent spike in the number of hefty bans handed out to inter-county players and management for abuse of referees this year is because more incidents are being reported according to Willie Barrett. Tipperary’s Barrett is chair of Croke Park’s Referee Development Committee and he explained that in the past not every incident of abuse was noted in referees’ reports. At the start of 2019 the men in black were told to report any abuse they were subjected to in order to shed a light on this unwanted area of hurling and football and, eventually, stamp it out. "We are very clear on this - we want and have encouraged our referees to report any issue of abuse or threatening language," said Barrett. Most recently Carlow manager Turlough O’Brien, his coach Stephen Poacher and midfielder Brendan Murphy were hit with suspensions totalling 44 weeks for the use of threatening language against referee James Birmingham after their one-point defeat to Down in Allianz Football League Division 3. This year Armagh boss Kieran McGeeney served a four-week ban, Wexford hurling manager Davy Fitzgerald got a longer ban reduced to four weeks and Louth’s Wayne Kerns accepted a 12-week suspension following an incident with a linesman. It is unusual for so many suspensions for this type of incident to be handed out in such a short space of time, but according to Barrett it is part of a drive from Croke Park. The two time All-Ireland final referee was himself assaulted during a club game in 2010 by a hurley-wielding fan and he has been subject to more than his fair share of abuse from touchlines and terraces. "Two years ago we did a survey and we asked referees what was most likely to make them discontinue refereeing - 70% said it was the abuse they receive," said Barrett, from Ardfinnan. "We see it more at club level, I believe." Speaking about his own assault, he said: "It didn’t occur to me to give it up, but it does dent your confidence - an assault like that makes you question yourself. "We (the Referee Development Committee) spoke last year and we felt that we needed to set a good example. We need managers and people on the sideline to buy into it. "There have been a few incidents, but thankfully we played more than 200 games in football and hurling leagues the year and there weren’t that many. Hopefully moving on to the Championship we can eradicate it as much as possible. "We have no difficulty with managers and players querying a decision, looking for clarification, but abuse is not good and has to be stamped out. What sort of example does it set for boys and girls playing our games?" asked Barrett. The Referee Development Committee is charged with improving recruitment at grassroots level, developing pathways for whistlers to progress and improving the strength of the inter-county panel at the very highest level. Next week they will be announcing their two Championship panels - 18-strong in football and 14 for hurling. This year the hurling panel will officiate at Liam MacCarthy Cup and Joe McDonagh Cup games - a change from 2018 when there were two separate panels.